The Danish resistance movements (Danish : Modstandsbevægelsen) were an underground insurgency to resist the German occupation of Denmark during World War II. Due to the initially lenient arrangements, in which the Nazi occupation authority allowed the democratic government to stay in power, the resistance movement was slower to develop effective tactics on a wide scale than in some other countries. By 1943, many Danes were involved in underground activities, ranging from producing illegal publications to spying and sabotage. Major groups included the communist BOPA (Danish : Borgerlige Partisaner, Civil Partisans) and Holger Danske, both based in Copenhagen. Some small resistance groups such as the Samsing Group and the Churchill Club also contributed to the sabotage effort. Resistance agents killed an estimated 400 Danish Nazis, informers and collaborators until 1944. After that date, they also killed some German nationals. Espionage or spying is the act of obtaining secret or confidential information without the permission of the holder of the information. Spies help agencies uncover secret information. Any individual or spy ring, in the service of a -government, company or independent operation, can commit espionage. The practice is clandestine, as it is by definition unwelcome and in many cases illegal and punishable by law. Espionage is a method of intelligence gathering which includes information gathering from non-disclosed sources. Sabotage is a deliberate action aimed at weakening a polity, effort, or organization through subversion, obstruction, disruption, or destruction. One who engages in sabotage is a saboteur. Saboteurs typically try to conceal their identities because of the consequences of their actions. BOPA was a group of the Danish resistance movement; it was affiliated with the communists and developed after the occupation of Denmark by Nazi Germany during the Second World War. 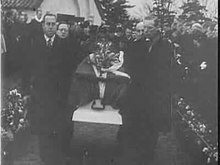 In the postwar period, the Resistance was supported by politicians within Denmark and there was little effort to closely examine the killings. Studies were made in the late 20th and early 21st centuries, and people learned that there was sometimes improvised and contingent decisionmaking about the targets, with some morally ambiguous choices. Several important books and films have been produced on this topic. During the invasion of Denmark on April 9, 1940 and subsequent occupation, the Danish king and government chose not to flee the country and instead collaborated with the German authorities who allowed the Danish government to remain in power. The Germans had reasons to do so, especially as they wanted to showcase Denmark as a "model protectorate", earning the nickname the Cream Front (German : Sahnefront), due to the relative ease of the occupation and copious amount of dairy products. As the democratically elected Danish government remained in power, Danish citizens had less motivation to fight the occupation than in countries where the Germans established puppet governments, such as Norway or France. The police also remained under Danish authority and led by Danes. The German invasion of Denmark was the German attack on Denmark on 9 April, 1940, during the Second World War. The attack was a prelude to the main attack against Norway. The term Weserübung means Weser-exercise in English, named after the river Weser in northwestern Germany. Daily life in Denmark remained much the same as before the occupation. The Germans did make certain changes: imposing official censorship, prohibiting dealings with the Allies, and stationing German troops in the country. The Danish government actively discouraged violent resistance because it feared a severe backlash from the Germans against the civilian population. Following the Nazi invasion of the Soviet Union on June 22, 1941 the Germans banned the Danish Communist Party and had the Danish police arrest its members. Those members who either avoided arrest or later escaped thus went underground and created resistance cells. From October 1942, they published a clandestine newspaper, Land og Folk ("Land and People"), which was distributed widely across the country. Circulation grew to 120,000 copies per day by the end of the occupation. At the beginning of 1943, the cells were centrally coordinated under BOPA (Borgerlige Partisaner - Civil Partisans), which also began to plan acts of sabotage. A clandestine cell system is a method for organizing a group of people such as resistance fighters, sleeper agents, or terrorists so that such people can more effectively resist penetration by an opposing organization. Land og Folk was a Danish language communist daily newspaper printed in Copenhagen, Denmark, between 1919 and 1982. As time went on, many other insurgent groups formed to oppose the occupation. These included the Hvidsten group, which received weapons parachuted by the British, and Holger Danske, which was successful in organizing sabotage activities and the assassinations of collaborators. The Churchill club, one of the first resistance groups in Denmark, was a group of eight schoolboys from Aalborg. They performed some 25 acts of sabotage against the Germans, destroying Nazi German assets with makeshift grenades and stole Nazi German weapons. When the Germans forced the Danish government to sign the anti-Comintern pact, a large protest broke out in Copenhagen. 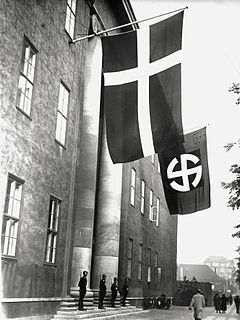 The number of Danish Nazis was low before the war, and this trend continued throughout the occupation. This was confirmed in the 1943 parliamentary elections, in which the population voted overwhelmingly for the four traditional parties, or abstained. The latter option was widely interpreted as votes for the Danish Communist Party. 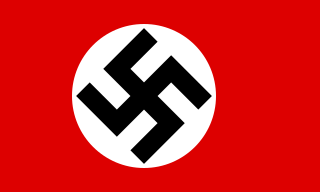 The election was a disappointment for the National Socialist Workers' Party of Denmark (DNSAP) and German Reichsbevollmächtigter . Dr. Werner Best abandoned plans to create a government under Danish Nazi leader Frits Clausen, due to Clausen's lack of public support. 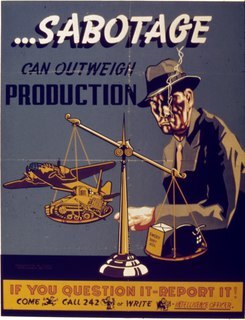 In 1942-43, resistance operations gradually shifted to more violent action, most notably acts of sabotage. Various groups succeeded in making contacts with the British Special Operations Executive (SOE) which began making airdrops of agents and supplies. There were not many drops until August 1944, but they increased through the end of the occupation. On 23 April 1940,  members of Danish military intelligence established contacts with their British counterparts through the British diplomatic mission in Stockholm. The first intelligence dispatch was sent by messenger to the Stockholm mission in the autumn of 1940. This evolved into regular dispatches of military and political intelligence, and by 1942-43, the number of dispatches had increased to at least one per week. 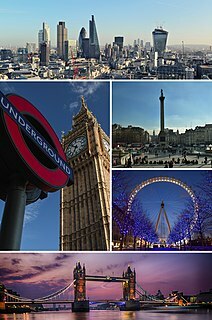 In addition, an employee of Danmarks Radio was able to transmit short messages to Britain through the national broadcasting network. As the years went by, the number of acts of sabotage and violence grew. In 1943, the number grew dramatically, to the point that the German authorities became dissatisfied with the Danish authorities' handling of the situation. At the end of August, the Germans took over full administration in Denmark, which allowed them to deal with the population as they wished. Policing became easier for the Nazis, but more and more people became involved with the movement because they were no longer worried about protecting the Danish government. An American pilot in occupied Copenhagen photographed by the Danish resistance while a German pilot looks on. March, 1945. Another success was the disruption of the Danish railway network in the days after D-Day, which delayed the movement of German troops to France as reinforcements. By the end of the war, the organized resistance movement in Denmark had scored many successes. It is believed to have killed nearly 400 persons (the top official number is 385) from 1943 through 1945, who were Danish Nazis, informers or collaborators thought to pose a threat to the Resistance, or Danes working for the Gestapo. The rationale behind the executions was discussed, and several accounts by participants said a committee identified targets, but no historic evidence of this system has been found. In the postwar period, while the killings were criticized, they were also defended by such politicians as Frode Jakobsen and Per Federspiel. The movement lost slightly more than 850 members, in action, in prison, in Nazi concentration camps, or (in the case of 102 resistance members  ) executed following a court-martial. The Danish National Museum maintains the Museum of Danish Resistance in Copenhagen. With the 60th anniversary of the end of the war, the issue was re-examined in two new studies: Stefan Emkjar's Stikkerdrab and Peter Ovig Knudsen's Etter drabet, "the first profound approaches into the topic." Both authors used veterans of the resistance movement, and covered the sometimes contingent, improvised nature of some of the actions. It suggested that some of the noted Bent Faurschou-Hviid (Flammen)'s executions may have been mistakenly directed by a double agent. Knudsen's work was adapted as a 2-hour documentary film, With the Right to Kill (2003), which was shown on TV and later released in theaters. These works have contributed to a national discussion on the topic. Flame and Citron (Flammen og Citronen, 2008) is a fictionalized drama film based on historic accounts of the two prominent Danish resistance fighters, directed by Ole Christian Madsen. It portrays some of the moral ambiguity of their actions. Carol Matas's 1987 and 1989 novels Lisa and Jesper presented fictionalized accounts of Danish resistance missions. Ken Follett's 2002 suspense novel Hornet Flight presents a fictionalized account of early Danish resistance. Barry Clemson's alternative history novel, Denmark Rising (2009), imagines a Denmark that implemented a total resistance to the Nazis via strategic nonviolence. Povl Falk-Jensen's Holger Danske - Afdeling Eigils sabotager og stikkerlikvideringer under Besættelsen (2010), Danish resistance member Povl Falk-Jensen's memoir. Povl Falk-Jensen was a leading member of the Danish resistance group Holger Danske during World War II and responsible for eleven executions of informers or collaborators. H. George Frederickson's 1997 text The Spirit of Public Administration compares the response of the bureaucracy in Denmark to other European nations to the rise of the Nazi party and Adolf Hitler. Aage Bertelsen's "October '43" (1954) An autobiographical account of the Jewish escape to Sweden in 1943, written by a prominent member of the Danish resistance. Originally written in Danish, but translated into other languages. Author not to be confused with famous Danish painter Aage Bertelsen. The Twentieth Century with Walter Cronkite: episode Sabotage. CBS approximately 1960. Black and white. Flame and Citron ( Flammen og Citronen ) (2008) is a drama film based on two prominent Danish resistance fighters,; it is directed by Ole Christian Madsen. Miracle at Midnight (1998), American made-for-TV movie about the rescue of the Jews in Denmark, starring Sam Waterston and Mia Farrow, featuring neighbors helping a family escape to Sweden. The Boys from St. Petri , a 1991 Danish drama film. The Only Way, A 1970 war drama film about the rescue of the Danish Jews starring Jane Seymour. This Life (Hvidstengruppen) (2012) is a Danish drama film based on the activities of the Hvidsten Group. With the Right to Kill (Med ret til at dræbe, 2003), is a documentary adapted from the 2001 book by journalist Peter Øvig Knudsen and directed by Morten Henriksen; it explores the liquidation of nearly 400 people by the Resistance during World War II from 1943 through 1945. It won a Robert Award in 2004 for best full-length documentary. Omvej til friheden (Detour to freedom), a made-for-TV documentary movie about two Jewish families attempting to flee to neutral Sweden and featuring actual Jewish survivors and members of the Danish resistance. At the outset of World War II, Denmark declared itself neutral. For most of the war, the country was a protectorate, then an occupied territory of Germany. The decision to occupy Denmark was taken in Berlin on 17 December 1939. On 9 April 1940, Germany occupied Denmark in Operation Weserübung and the king and government functioned as normal in a de facto protectorate over the country until 29 August 1943, when Germany placed Denmark under direct military occupation, which lasted until the Allied victory on 5 May 1945. Contrary to the situation in other countries under German occupation, most Danish institutions continued to function relatively normally until 1945. Both the Danish government and king remained in the country in an uneasy relationship between a democratic and a totalitarian system until the Danish government stepped down in a protest against the German demands to institute the death penalty for sabotage. The rescue of the Danish Jews occurred during Nazi Germany's occupation of Denmark during World War II. On October 1, 1943, Nazi leader Adolf Hitler ordered Danish Jews to be arrested and deported. Despite great personal risk, the Danish resistance movement, with the assistance of many Danish citizens, managed to evacuate 7,220 of Denmark's 7,800 Jews, plus 686 non-Jewish spouses, by sea to nearby neutral Sweden. 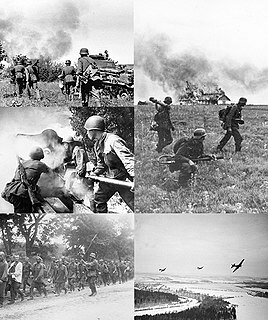 Resistance movements during World War II occurred in every occupied country by a variety of means, ranging from non-cooperation, disinformation and propaganda, to hiding crashed pilots and even to outright warfare and the recapturing of towns. In many countries, resistance movements were sometimes also referred to as The Underground. Forum Copenhagen is a large multi-purpose, rentable indoor arena located in Frederiksberg, Copenhagen, Denmark. It hosts a large variety of concerts, markets, exhibitions and other events. The venue can hold up to 10,000 people depending on the event. The Forum operates as a convention center, concert hall and indoor arena. Holger Danske was a Danish resistance group during World War II. It was created by veteran volunteers from the Winter War who had fought on the Finnish side against the Soviet Union. It was among the largest Danish resistance groups and consisted of around 350 volunteers towards the end of the war. The group carried out about 100 sabotage operations and was responsible for around 200 executions of informers who had revealed the identity and/or the whereabouts of members of the resistance. The group was named after the legendary Danish hero Holger Danske. The Danish Freedom Council was a clandestine body set up in September 1943 in response to growing political turmoil surrounding the occupation of Denmark by German forces during the Second World War. Major Flemming Bruun Muus, DSO was a Danish author and resistance fighter during the German occupation of Denmark in the Second World War. The Churchill Club was a group of eight teenage schoolboys from Aalborg Cathedral School in the north of Jutland who performed acts of sabotage against the Germans during the occupation of Denmark in the Second World War. Denmark–Israel relations refers to the bilateral relationship between Denmark and Israel. Eli Fischer-Jørgensen was professor emeritus of linguistics at the University of Copenhagen, she was a member of the Danish resistance movement fighting against the German occupation of Denmark. Bent Faurschou Hviid was a member of the Danish resistance group Holger Danske during World War II. He was quickly named "Flammen", for his red hair. In 1951, he and his Resistance partner Jørgen Haagen Schmith, were posthumously awarded the United States Medal of Freedom by President Harry Truman. Jørgen Haagen Schmith, better known under the codename Citronen, was a renowned fighter in the Danish resistance movement during the German Occupation of Denmark of 1940-45. In 1951 he and his partner Bent Faurschou Hviid were posthumously awarded the United States Medal of Freedom by President Harry Truman. Gunnar Dyrberg was a member of the Danish resistance movement during World War II, leading the Holger Danske, a Danish resistance group in the capital Copenhagen, from 1943 to 1945. After the war, Dyrberg became a public administrator, holding several appointed positions in government, and later a public relations executive in banking. For more than 40 years, he also owned and operated a horse farm, breeding and training Icelandic horses in Høsterkøb, North Zealand. Knud Jespersen was a Danish politician. Jespersen served as chairman of the Communist Party of Denmark between 1958 and 1977 and was a member of parliament between 1973 and 1977. Monica Emily Wichfeld was a leading member of the Danish resistance during the German occupation of Denmark in the Second World War. Bispebjerg Cemetery, established in 1903 on the moderately graded north slope of Bispebjerg Hill, is the youngest of five municipal cemeteries in Copenhagen, Denmark. The main entrance to the cemetery is located in front of the monumental Grundtvig's Church from. A tall poplar avenue extends from the main entrance towards Utterslev Mose in the west. The old chapel has been converted into a centre for dance and is now known as Dansekapellet. One of the cemetery’s main attractions is an avenue of Japanese cherry trees that, when in bloom during spring, form a long, pink tunnel. Kjeld Toft-Christensen MC was a Special Operations Executive officer and Danish resistance fighter during the Second World War. Toft-Christensen was born in Copenhagen to Aage and Elna Elise Toft-Christensen but later emigrated and joined the French Foreign Legion. During the Second World War he served with the Free French in North Africa before he left for England where he joined the British Army. He was trained as a parachutist and in sabotage tactics in the Buffs and obtained the rank of Lieutenant. On 4 April 1944 he was dropped into Skive in Denmark to assist the local resistance under the codename "Dahl". Kjeld Toft-Christensen joined the resistance in Aarhus as a liaison and intelligence officer. He became a part of the newly formed L-groups, focused on assassinations, and worked primarily in and around Aarhus. Povl Falk-Jensen, better known under the codename Eigil, was a fighter in the Danish resistance movement during the German occupation of Denmark of 1940-45. Falk-Jensen was a member of the resistance group Holger Danske and the leader of the sub-group Eigil. Falk-Jensen was responsible for eleven executions of informers or collaborators and has written his memoir entitled Holger Danske - Afdeling Eigils sabotager og stikkerlikvideringer under Besættelsen. Kai Henning Bothildsen Nielsen was a Danish national socialist who became a member of the Peter group in Denmark during the Second World War. He participated in numerous operations to murder and bomb civilians and public servants as collective punishment whenever the Danish resistance carried out an operation. Bothildsen was after the war convicted for 57 murders, 9 attempted murders and 116 sabotage events and given a death sentence which was eventually ratified by the Danish Supreme Court. He was executed on 9 May 1947 in Copenhagen. ↑ Poulsen, Henning (1 January 1991). "Die Deutschen Besatzungspolitik in Dänemark". In Bohn, Robert; Elvert, Jürgen; Rebas, Hain; Salewski, Michael. Neutralität und Totalitäre Aggression (in German). Stuttgart: Franz Steiner Verlag. p. 379. ISBN 978-3-515-05887-2 . Retrieved 20 April 2016. ↑ Per Eilstrup, Lars Lindeberg: De så de ske under Besættelsen. Forlaget Union, Copenhagen, 1969. ↑ Nielsen, Martin (1947). Rapport fra Stutthof[Report from Stutthof] (in Danish). Gyldendal. 170 pages. ↑ Resistance in Western Europe, edited by Bob Moore, p. 105. ↑ Bjørn Pedersen: Jubel og glæde. (in Danish) Retrieved 21 April 2008. ↑ Jerry Voorhis, “Germany and Denmark: 1940-45,” Scandinavian Studies 44:2 (1972) p. 183. ↑ Rasmussen, Anita Brask (21 March 2012). "Bombningen af Den Franske Skole blev redigeret ud af erindringen" [The bombing of the French School was edited out of the remembrance] (in Danish). Dagbladet Information . Retrieved 4 December 2014. ↑ The Rescue of Danish Jews, Jewish Virtual Library, Retrieved 17 April 2008. ↑ UNITED STATES HOLOCAUST MEMORIAL MUSEUM. "RESCUE IN DENMARK". ↑ "The Rescue of Danish Jews". Jewish Virtual Library. Retrieved 2016-02-08. ↑ "The Rescue of Denmark's Jews". Yad Vashem. Retrieved 2016-02-08. The Underground did not receive the Righteous Among the Nations title, which is only awarded to individuals, not to groups. This was also in the spirit of the request expressed by the members of the Danish underground not to honor them as individuals. 1 2 Clement Maier, Making Memories: The Politics of in Postwar Norway and Denmark, pp. 259-263, 2007 thesis at European University Institute, available online as pdf. ↑ Quistgaard, Georg (1944). 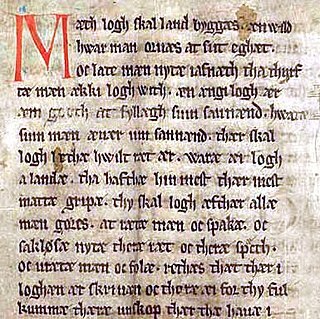 Fængselsdagbog og breve [Prison Diary and Letters] (in Danish). Prefaced by Elias Bredsdorff. Copenhagen: Nyt Nordisk Forlag, Arnold Busck (published 1946). 101 pages. ↑ "Varinka Wichfeld Muus (1922 - 2002 )". Dansk Kvindebiografisk Leksikon (in Danish). KVINFO. Retrieved 5 August 2018. ↑ "Denmark, Historical Role," by Hans Kirchoff in Resistance in Western Europe (p. 112 et seq). 1 2 3 Hayden B. Peake, "The Intelligence Officer's Bookshelf", includes a review of Knud Jespersen's No Small Achievement, CSI Studies, Vol. 48, No.1, Retrieved 19 April 2008. Hæestrup, Jørgen. Secret Alliance - A Study of the Danish Resistance Movement 1940-45. Vols I, II & III. Odense University Press, 1976-77. ISBN 87-7492-168-1, ISBN 87-7492-194-0 & ISBN 87-7492-212-2. Lampe, David (1957). The Danish Resistance. New York: Ballantine Books. Moore, Bob (editor). Resistance in Western Europe (esp. Chapter on Denmark by Hans Kirchoff), Oxford : Berg, 2000, ISBN 1-85973-279-8. Besættelsens Hvem Hvad Hvor (Who What Where of the Occupation), Copenhagen, Politikens Forlag, 3rd revised edition, 1985. ISBN 87-567-4035-2. Reilly, Robin. Sixth Floor: The Danish Resistance Movement and the RAF Raid on Gestapo Headquarters March 1, 2002. Voorhis, Jerry. "Germany and Denmark: 1940-45", Scandinavian Studies 44:2, 1972.